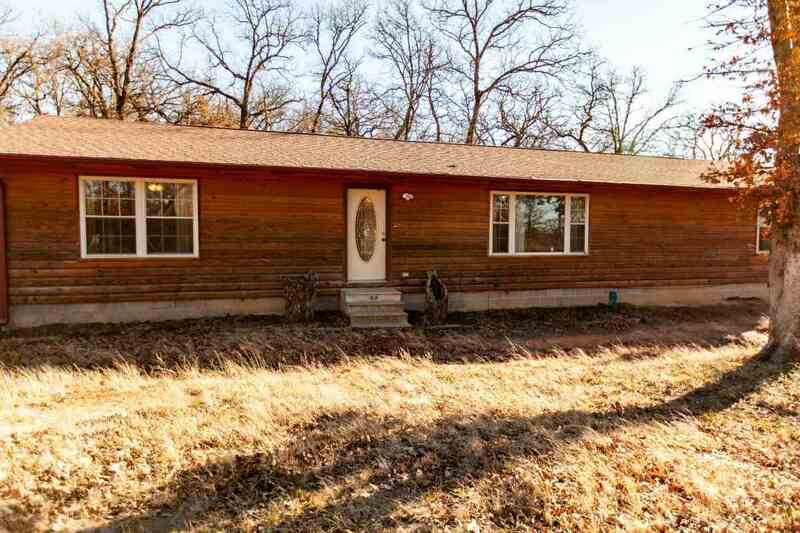 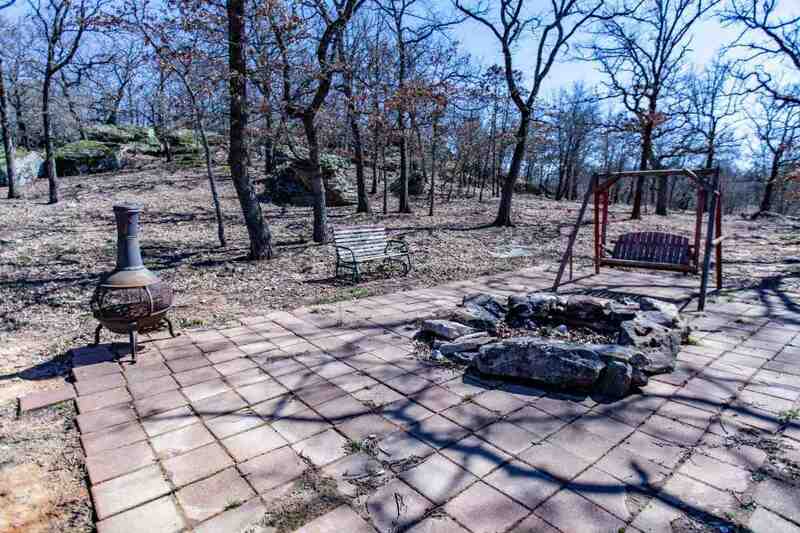 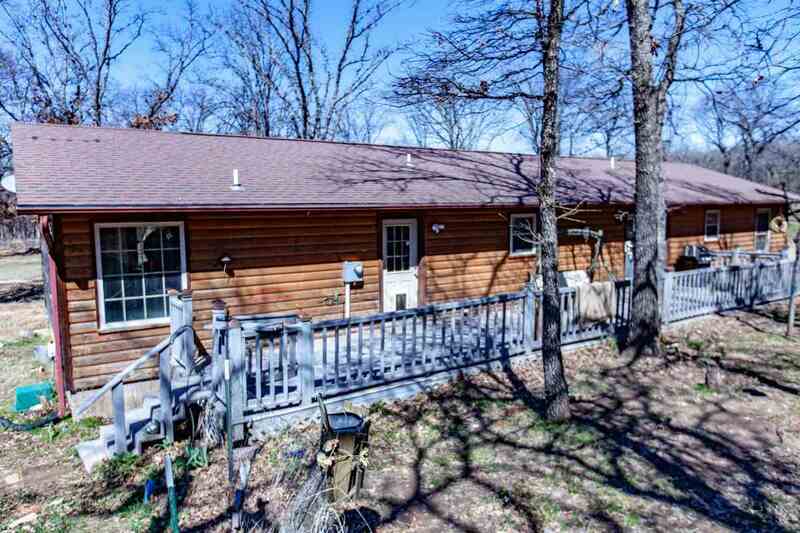 A COUNTRY BOY AND GIRL CAN SURVIVE - AND THRIVE - on this almost 65-acre wooded retreat! 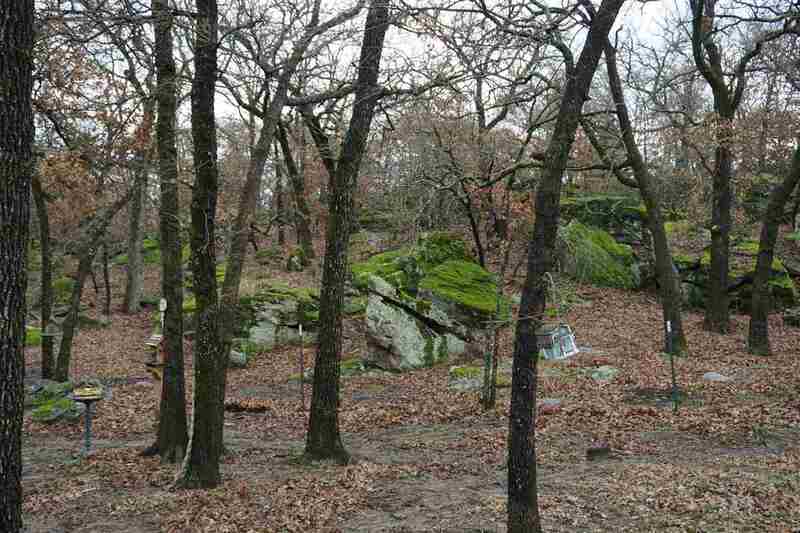 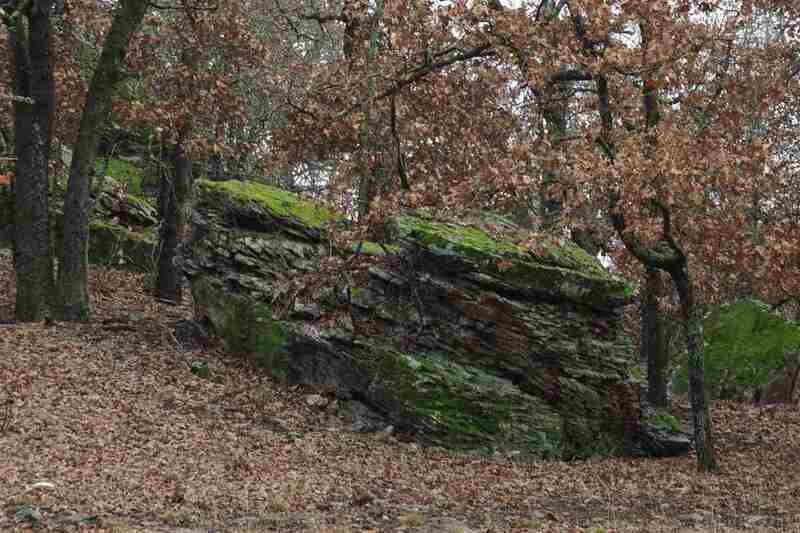 From the big, beautiful mossy boulders in the front to Demijohn Creek at the back, this is a showplace of Oklahoma nature. 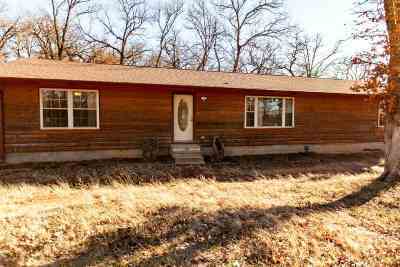 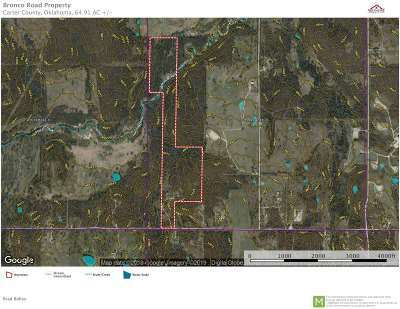 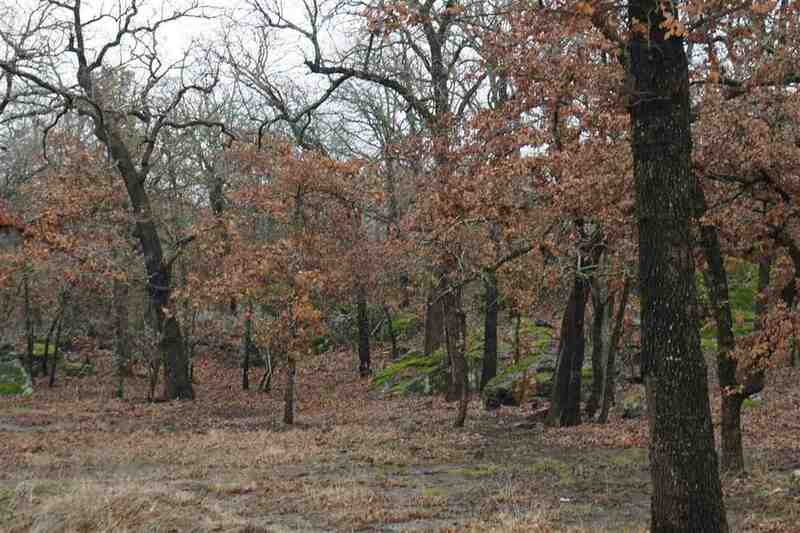 It has 50&apos; of elevation relief from front to rear with lots of native oaks and other hardwoods to provide a home for the wildlife which lives and crosses here. 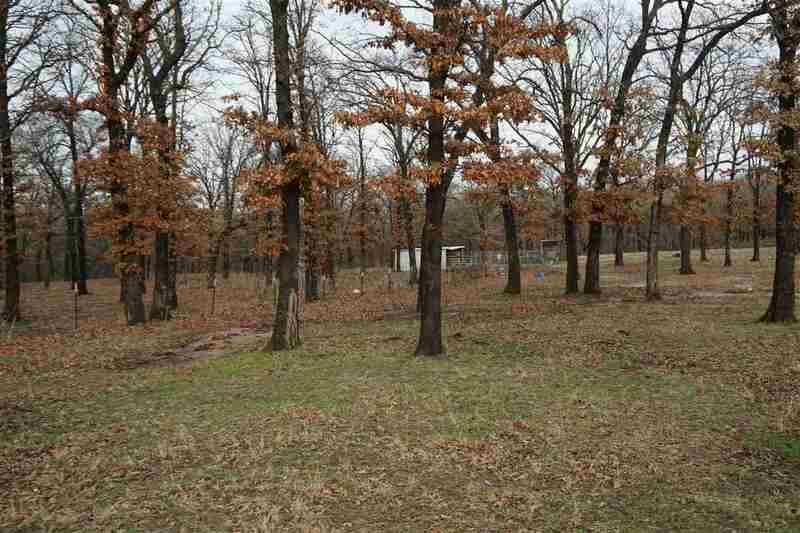 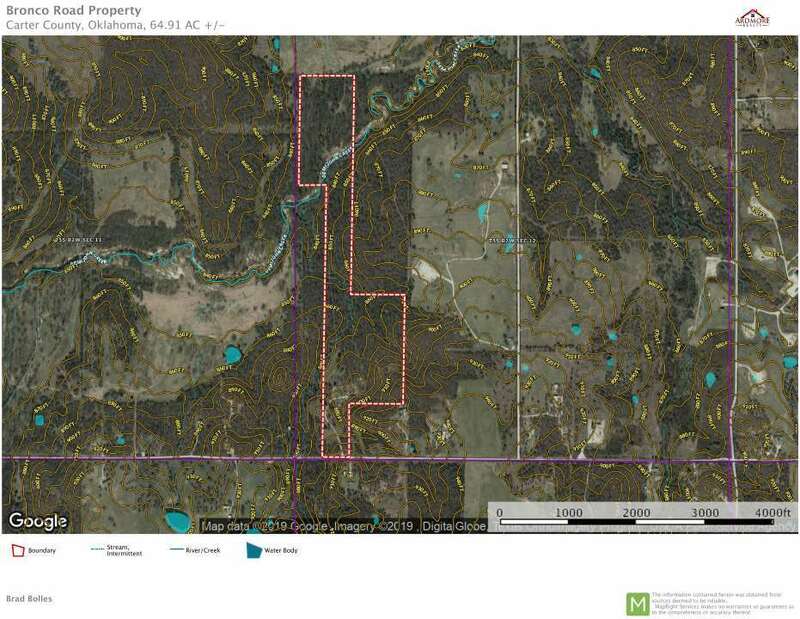 There&apos;s a livestock pen and the area around the house has been cleared for more additions of your choice. 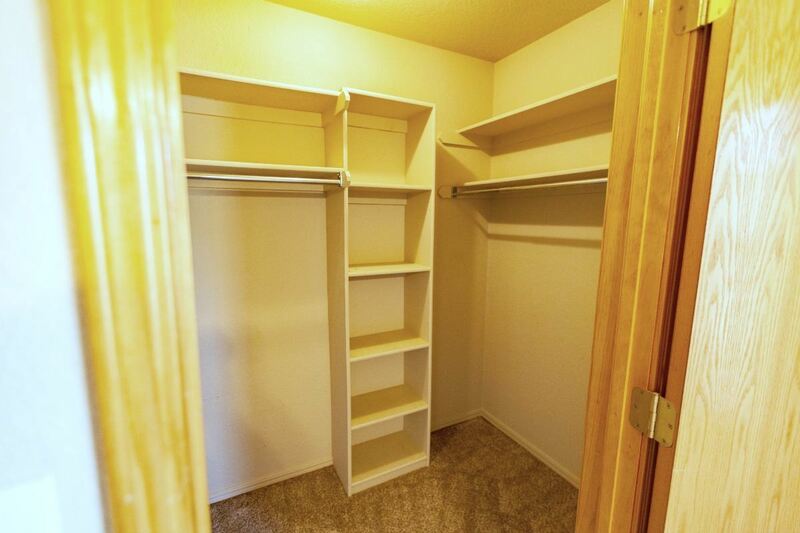 A storm cellar is located near the house just in case the weather gets nasty. 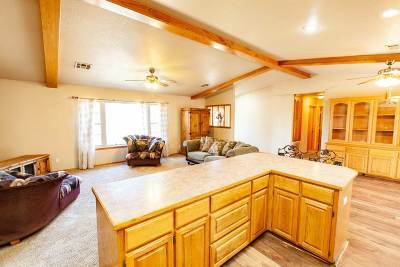 When you&apos;re ready to rest awhile, the well-done 3-bedroom, 2-bath home with vaulted ceilings will give you a hearty welcome. 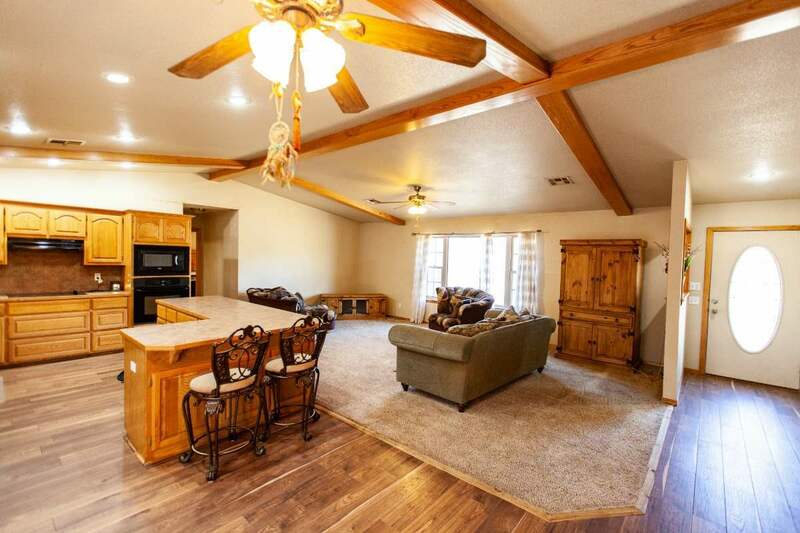 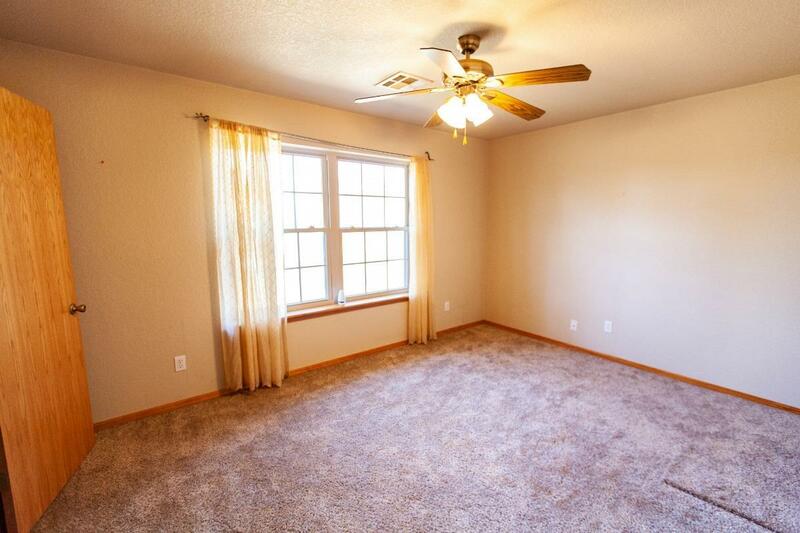 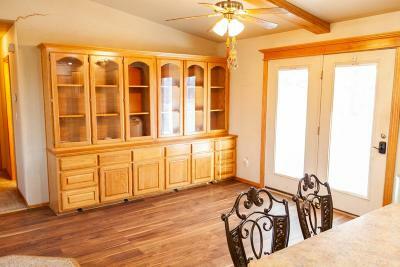 It has a great open floor plan with lots of storage and nice built-ins. 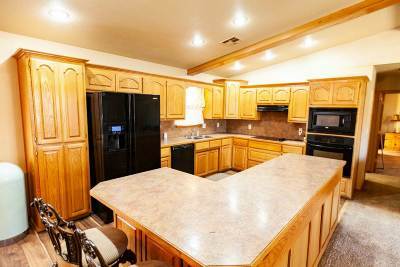 The kitchen is roomy with a large center island and a wood floor. 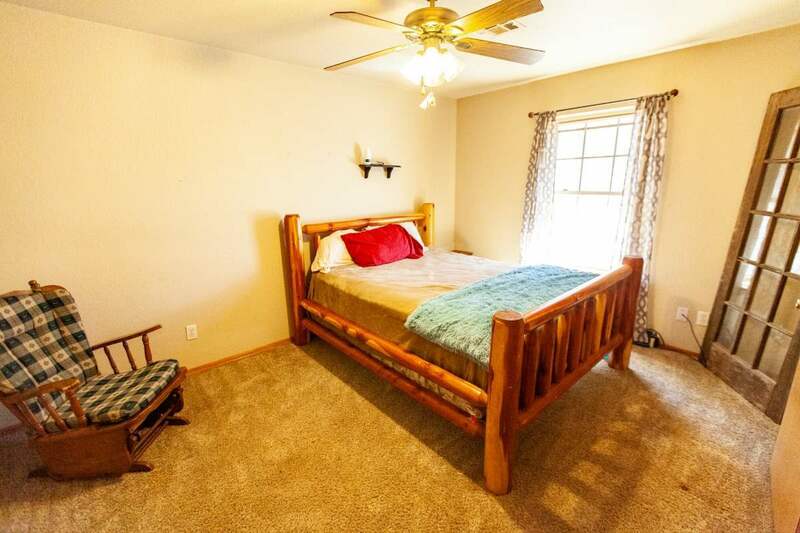 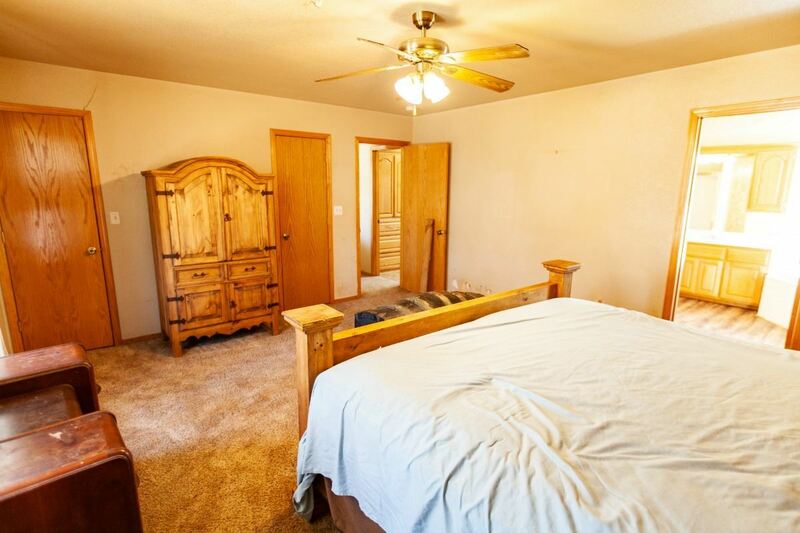 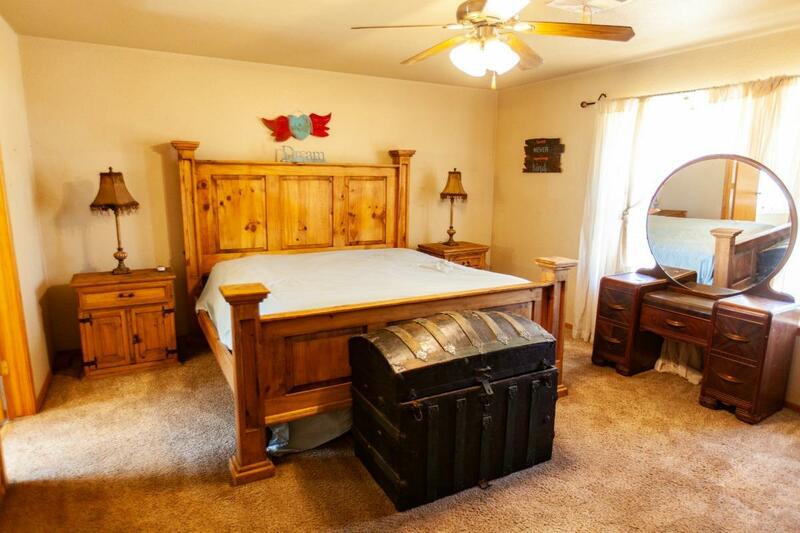 All the bedrooms are carpeted. 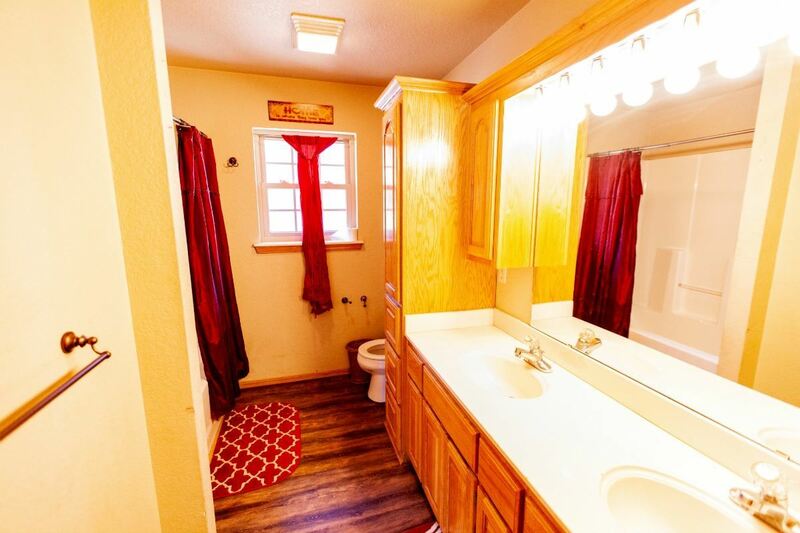 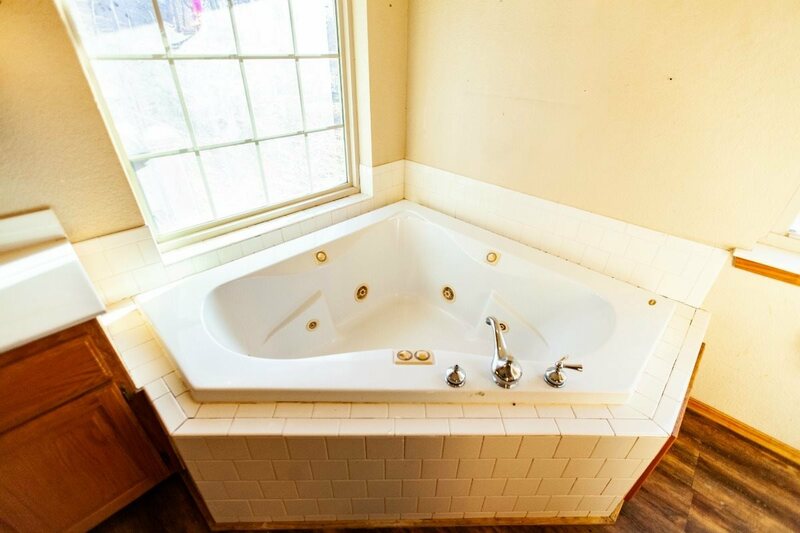 Both the master and the second bathroom have double vanities. 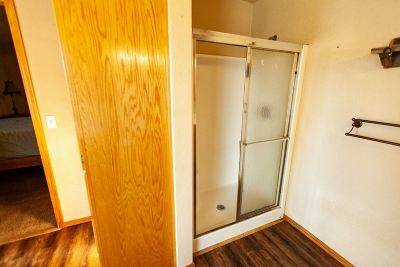 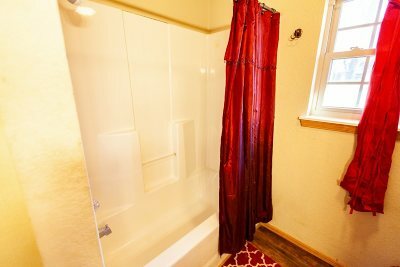 The master has a whirlpool tub and a walk-in shower. 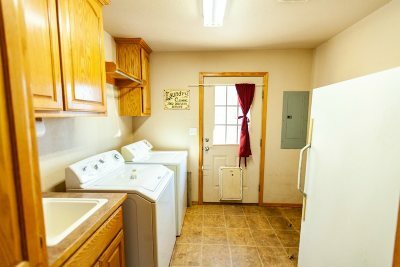 When it&apos;s time to do the laundry, you&apos;ll appreciate the plus-sized laundry room with even more storage and a sink. 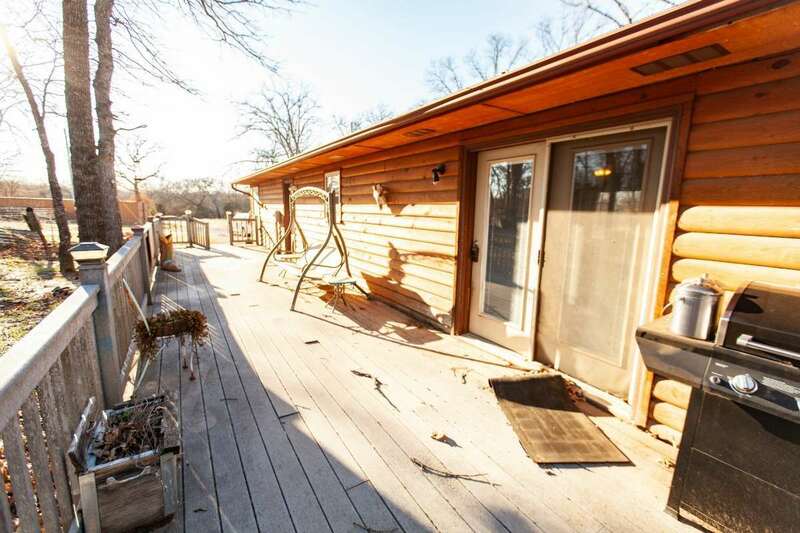 There&apos;s a lot to love about this authentic country retreat!